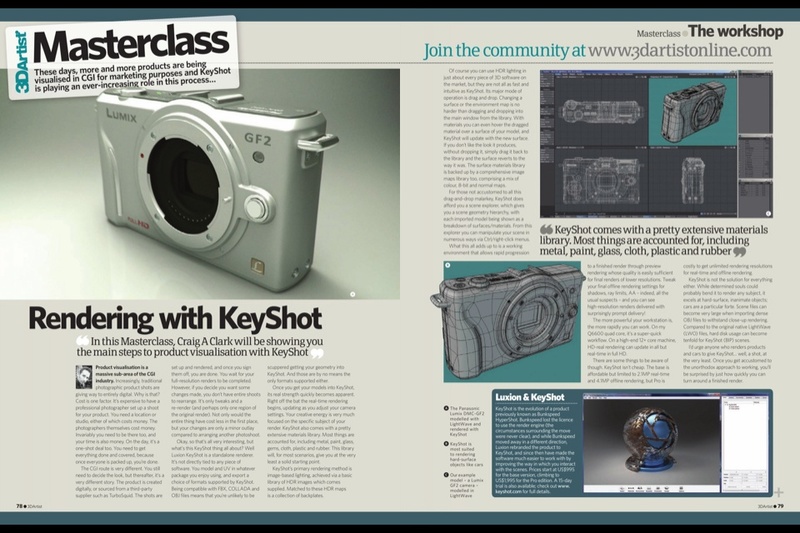 The wonderful and talented Craig A. Clark has a very well done article published in the latest issue of 3D Artist magazine (Issue 33). Rendering with KeyShot takes you step by step through model considerations, export, import, material selection, image maps and more. He even throws in a little bit o' KeyShot history and tips on post processing in Photoshop. Sweet! Here are the pages from the article and where you can pick up a copy. "The speed of creating renderings is immediately noticed with the simplicity of dragging and dropping presets." You can see the article below (and read it if you squint real hard. Click to enlarge.) 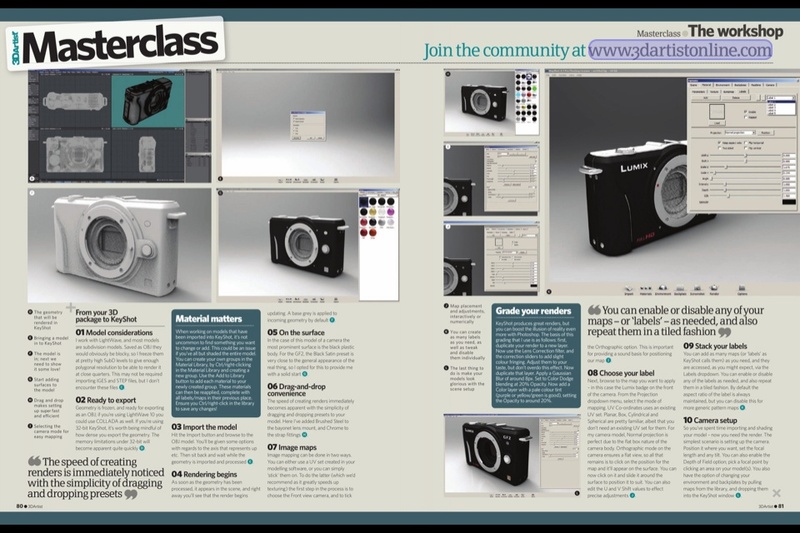 Or, you can pick up Issue 33 of 3D Artist on their website or you can pick up the 3D Artist iPad app and get the issue free with purchase of the app ($1.99). Great article Craig! Pro/E and Creo Users...  Faster, Easier, and More Amazing Rendering than Ever Before.